Today, we will primarily be communing how people should serve God in their belief in God, what conditions should be fulfilled and which truths should be understood by those who serve God, and what deviations there are in your service. You should understand all of this. These issues touch upon how you believe in God, how you walk onto the path of guidance by the Holy Spirit, and how you submit to God’s orchestrations in all things, and they will allow you to know every step of God’s work in you. When you reach that point, you will appreciate what faith in God is, how to properly believe in God, and what you should do to act in harmony with God’s will. This will make you completely and utterly obedient to God’s work, and you will have no complaints, you will not judge, or analyze, much less research. Furthermore, you will all be capable of obedience to God unto death, allowing God to steer you and slaughter you like a sheep, so that you can all become the Peters of the 1990s, and can love God to the utmost even upon the cross, without the slightest complaint. Only then will you be able to live as Peters of the 1990s. Everyone who has resolved to can serve God—but it must be that only those who give every care to God’s will and understand God’s will are qualified and entitled to serve God. I’ve discovered this among you: Many people believe that as long as they fervently spread the gospel for God, go on the road for God, expend themselves and give things up for God, and so on, then this is serving God; even more religious people believe that serving God means running around with a Bible in their hands, spreading the gospel of the kingdom of heaven and saving people by making them repent and confess; there are many religious officials who think that serving God is preaching in chapels after studying and being trained at the seminary, teaching people by reading chapters of the Bible; there are also people in impoverished regions who believe that serving God means healing the sick and casting out demons, or praying for the brothers and sisters, or serving them; amongst you, there are many who believe that serving God means eating and drinking the words of God, praying to God every day, as well as visiting and doing work in churches everywhere; there are other brothers and sisters who believe that serving God means never getting married or raising a family, and dedicating their entire being to God. Yet few people know what it actually means to serve God. Although there are as many who serve God as stars in the sky, the number of those who can serve directly, and who are able to serve in accordance with God’s will, is paltry—pifflingly small. Why do I say this? I say this because you do not understand the substance of the phrase “service to God,” and you understand so little of how to serve in accordance with God’s will. Today, we are mainly communing how to serve in accordance with God’s will, how to serve in order to satisfy God’s will. 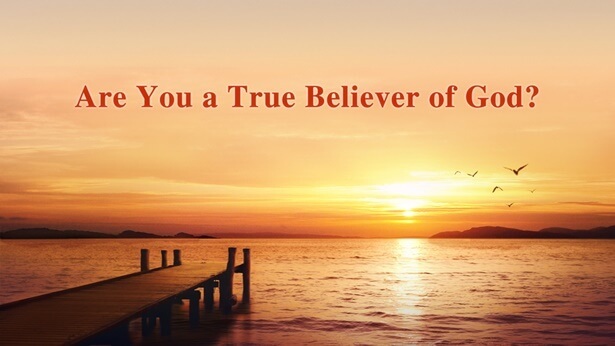 If you wish to serve in accordance with God’s will, you must first understand what kind of people are pleasing to God, what kind of people are loathed by God, what kind of people are made perfect by God, and what kind of people are qualified to serve God. This is the very least that you ought to be equipped with. 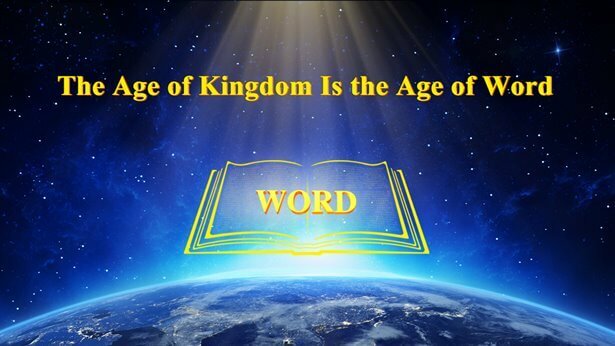 Moreover, you should know the aims of God’s work, and the work that God shall do in the here and now. After understanding this, and through the guidance of God’s words, you should first enter, and first receive God’s commission. When you actually experience based upon God’s words, and when you truly know God’s work, you will be qualified to serve God. And it is when you serve Him that God opens your spiritual eyes, and allows you to have a greater understanding of His work and see it more clearly. When you enter this reality, your experiences will be more profound and real, and all those of you who have had such experiences will be able to walk among the churches and provide to your brothers and sisters, so that you can each draw on the strengths of the other to make up for your own deficiencies, and gain richer knowledge in your spirits. Only after achieving this effect will you be able to serve in accordance with God’s will and be made perfect by God in the course of your service. Jesus was able to complete God’s commission—the work of all mankind’s redemption—because He gave every care to God’s will, without His personal plans and considerations. So, too, was He the intimate of God—God Himself, something which you all understand very well. (Actually, He was the God Himself who was testified to by God; I mention this here to use the fact of Jesus to illustrate the issue.) He was able to place God’s management plan at the very center, and always prayed to the heavenly Father and sought the will of the heavenly Father. He prayed, and said: “God the Father! Accomplish that which is of Your will, and act not according to My intentions; would that You act according to Your plan. Man may be weak, but why should You care for him? How could man be the subject of Your concern, man who is like an ant in Your hand? In My heart, I wish only to accomplish Your will, and I would that You can do what You would do in Me according to Your own intentions.” On the road to Jerusalem, Jesus felt in agony, as if a knife were being twisted in His heart, yet He had not the slightest intention of going back on His word; always there was a powerful force compelling Him onward to where He would be crucified. Ultimately, He was nailed to the cross and became the likeness of sinful flesh, completing that work of the redemption of mankind, and rising above the shackles of death and Hades. Before Him, mortality, hell, and Hades lost their power, and were vanquished by Him. He lived for thirty-three years, throughout which He always did His utmost to fulfill God’s will according to God’s work at the time, never considering His own personal gain or loss, and always thinking of the will of God the Father. Thus, after He was baptized, God said: “This is My beloved Son, in whom I am well pleased.” Because of His service before God that was in harmony with God’s will, God placed the heavy burden of redeeming all mankind upon His shoulders and made Him go forth to accomplish it, and He was qualified and entitled to complete this important task. Throughout His life, He endured immeasurable suffering for God, and He was tempted by Satan countless times, but He was never disheartened. God gave Him such a task because He trusted Him, and loved Him, and thus God personally said: “This is My beloved Son, in whom I am well pleased.” At that time, only Jesus could accomplish this commission, and this was one part of God’s completion of His work of redeeming all mankind in the Age of Grace. If, like Jesus, you are able to give every care to God’s burden, and turn your back on your flesh, God will entrust His important tasks to you, so that you will meet the conditions of serving God. Only under such circumstances will you dare to say that you are doing God’s will and completing His commission, only then will you dare say you are truly serving God. Compared to Jesus’ example, do you dare say you are God’s intimate? Do you dare say that you are doing God’s will? Do you dare say that you are truly serving God? If, today, you do not understand such service to God, do you dare say you are God’s intimate? If you say that you serve God, do you not blaspheme against Him? Think about it: Are you serving God, or yourself? You serve Satan, yet you stubbornly say you are serving God—in this do you not blaspheme against God? Many people behind Me covet the blessing of status, they gorge themselves on food, they love to sleep and give every care to the flesh, always afraid that there is no way out of the flesh. They do not perform their normal function in the church, and eat for free, or else admonish their brothers and sisters with My words, they stand up high and lord it over others. These people keep saying they are doing God’s will, they always say they are God’s intimates—is this not absurd? If you have the right motivations, but are unable to serve in accordance with God’s will, then you’re being foolish; but if your motivations aren’t right, and you still say you serve God, then you are someone who opposes God, and you ought to be punished by God! I have no sympathy for such people! In the house of God they eat for free, and always covet the comforts of the flesh, and give no consideration to the interests of God; they always seek what’s good for them, they pay no heed to God’s will, all that they do is not looked upon by God’s Spirit, they’re always maneuvering and plotting against their brothers and sisters, and being two-faced, like a fox in a vineyard, always stealing grapes and trampling over the vineyard. Could such people be God’s intimates? Are you fit to receive God’s blessings? You take no responsibility for your life and the church, are you fit to receive God’s commission? Who would dare trust someone like you? When you serve like this, could God dare to entrust you with a greater task? Are you not delaying things? I say this so that you might know what conditions must be fulfilled in order to serve in harmony with God’s will. If you do not give your heart to God, if you do not give every care to God’s will like Jesus, then you cannot be trusted by God, and will end up being judged by God. Perhaps today, in your service to God, you always harbor the intention of deceiving God—but God will still take note of you. In short, regardless of all else, if you cheat God heartless judgment will come upon you. You should take advantage of having just entered onto the right track of serving God to first give your heart to God, without divided loyalties. Regardless of whether you are before God, or before other people, your heart should always face God, and you should be resolved to love God like Jesus. In this way, God will make you perfect, so that you become a servant of God who is after His heart. If you truly wish to be made perfect by God, and for your service to be in harmony with His will, then you should change your previous views about faith in God, and change the way you used to serve God, so that more of you is made perfect by God; in this way, God will not abandon you, and, like Peter, you will be at the vanguard of those who love God. If you remain unrepentant, then you will meet the same end as Judas. This should be understood by all those who believe in God.